Designed for USPSA's demanding "Limited Division", the 140mm provides +5 rounds of .40, +6 rounds of 9mm, with rock-solid retention and security. 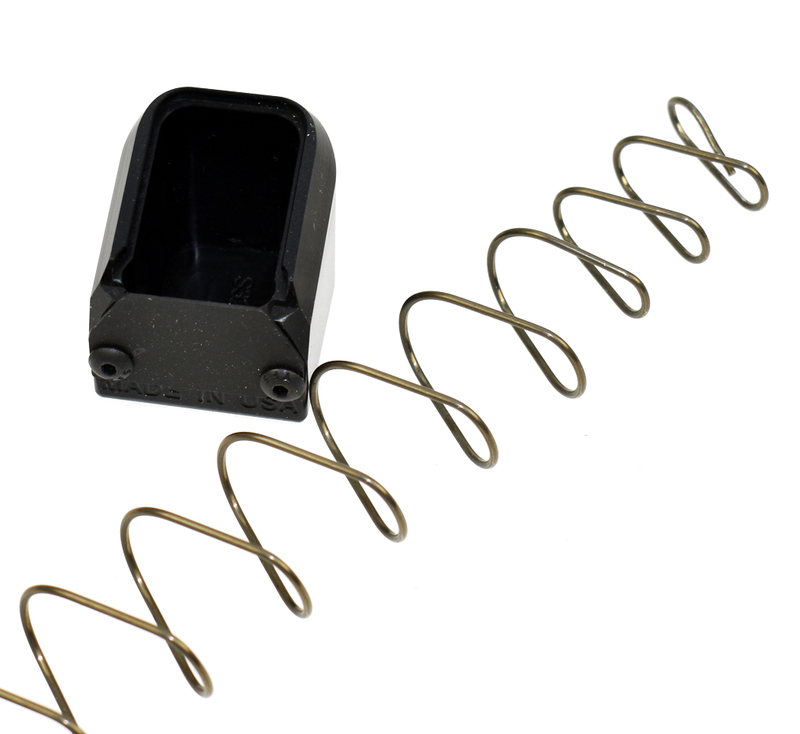 New "black magic" retainer allows quick disassembly. Just loosen the two screws and the locking plate pivots out of the way. Package ships with custom spring.